Governor Akinwumi Ambode has no business remaining in APC till today, he should have been bold to join ADC and enter an alliance with PDP not to field a candidate in Lagos and support him. That is the only option for him if he doesn't want to join PDP outrightly. 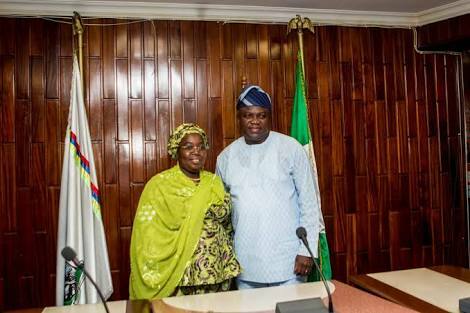 Lagos State Deputy Governor, Dr Idiat Adebule on Tuesday abandoned Governor Ambode to support Mr Babajide Sanwo-Olu in the race to pick the APC ticket for 2019 Governorship. “The party (APc) has chosen a man and it is that man that I will support and follow." NAN reports that when the deputy governor arrived at the ward, some of her aides came with Sanwo-Olu’s posters and banners. Many party members at the venue started singing the praises of Sanwo-Olu.